Bad guys have all the fun, right? Well, for at least the first third of Suicide Squad, the DC's anti-heroes Dirty Dozen-esque smackdown based on the 1959 comics series, that's probably true. The opening of this teaming up of the bad guys after they're enlisted by a government agency to take down a baddie who's terrorising the world (in usual portal opening fashion downtown in some New York style place) is a blast. With its pop art aesthetics and its (over-use) of big music hits all over the place, it's a real attempt at a thumbing of the nose at those who say DC can't match Marvel for cinematic chutzpah as it trots out a montage of tranced up fever dream proportions. (Though Guardians of the Galaxy has no need to worry). But, then the creative wheels dramatically fall off as it hurtles into rote formulaic shooter CGI destruction comic book territory with nary enough character to propel it through or a villain that's more super-sized than this clutch of imprisoned bad guys. And on top of that, logic and character fall right through the floor as the film fails to follow any of its own rules. 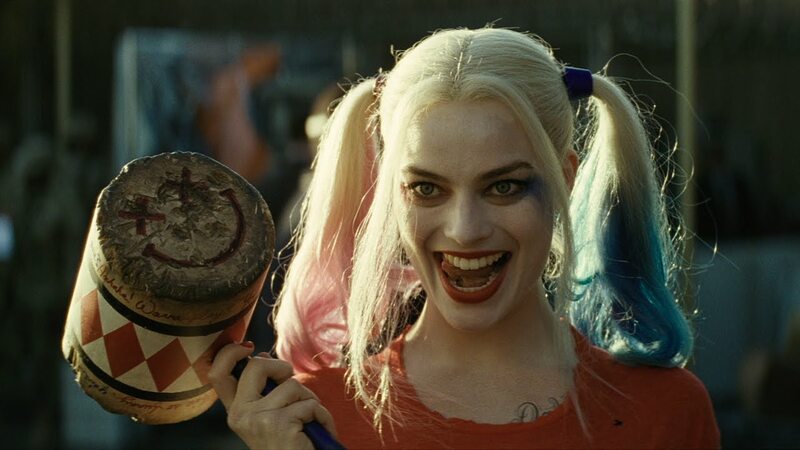 Don't even let's get started on either the Joker's extended cameo and the way the camera fetishizes and leers over Margot Robbie's Harley Quinn. (That Quinn thing may be in keeping with the comic books, but it just feels creepy as it transpires on screen). To be fair though, what Suicide Squad gets right, it gets completely right. The twisted abusive relationship love story between Robbie's Harley and Leto's deliciously deranged Joker is reverent to a tee from the source material, even if a few too many flashbacks hit the pace of that portion. Overt problematic leering sexism from the camera aside, Robbie absolutely owns the part of a manic Harley Quinn, and nails the nuttiness of the coquettish doctor who suffered from Stockholm Syndrome to a tee; hers is one of the few on screen who get the characteristics right on and gets enough from the script to breathe life into the film. And Will Smith's on target as the sharpshooter Deadshot, with a combination of dialled down quips and seriousness, which, to be honest, Ayer's film would have been better following. Hints of a love triangle with Quinn flounder however, and could have been an intriguing development. 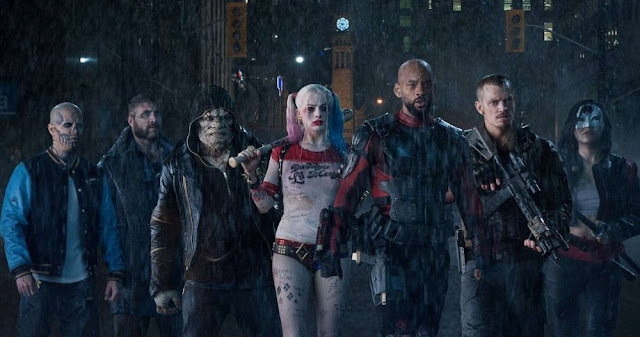 However, it's the way Suicide Squad squanders its promise and becomes a formulaic exposition heavy CGI blockbuster that's the biggest disappointment - and a lack of characterisation doesn't help matters too. When it comes to the rest of the squad, they barely figure in the character stakes; a jumbled muddled mess of a supporting troupe that get nary a moment to shine through or time to shine. From Adewale Akinnuoye-Agbaje's underused Killer Croc to Karen Fukuhara's Katana who's simply there to pose post Samurai sword slice, the squad's sidelined or disposable. 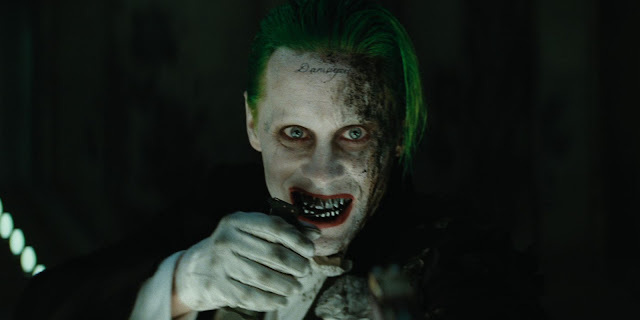 Even Leto's psychotic take on Joker is reduced to a mere extended cameo. It means the stakes are less than high at all as this mash up of The Raid and any of the Avengers films plays out, with the Squad taking on CGI rejects from The Mummy films in a disappointingly familiar conclusion. The supernatural Enchantress aka Cara Delevingne doesn't hold enough threat to give the film the edge it needs or the emotional investment it's crying out for - and certainly her reasons for doing what she's doing are unnecessarily muddied and a bit average beyond belief. Overblown, overwrought and overwhelmed by such a formulaic path after such an electric start, Suicide Squad is a muddle of a film - if they'd simply put more effort into the Squad or trimmed down parts of it to nail a tighter focus, this Suicide Squad could have soared. Instead, this mess flounders, begging you to put it out of its misery in an audience assisted suicide.